The CBC Mustangs baseball team fell against Freed-Hardeman the week after their conference series sweep against Harris-Stowe State. 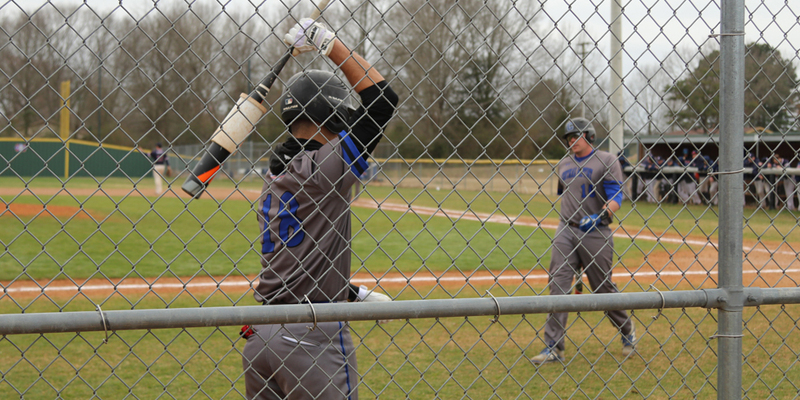 The Mustangs struggled during their games against Freed-Hardeman on March 22-23. Freed-Hardeman is nationally ranked number four and the final scores were 11-5, 15-3, and 12-1. Even though the Mustangs were defeated this week, they had a sweep last weekend against Harris-Stowe State. Aaron Brister, head baseball coach, said the series ended with all of the coaches dying their beards blonde. The main issue that has affected the team this week with the game against Hardeman was mostly injuries amongst the players and the pitching staff. All three games against Harris-Stowe ended with a score of 15-3, 3-0, and 8-5. According to senior Charley Harber, the conference series sweep against Harris-Stowe felt good, but there was a difference in the game against Freed-Hardeman. Senior Austin Kuchinski said that Freed-Hardeman is a different caliber team and in order to beat them the Mustangs had to play well. The Mustangs have a big series coming up in St. Louis against Missouri Baptist this weekend. “I think we are fine heading into this weekend, we just have to get back to being us and playing ball the right way,” said Harber. According to Kuchinski, Missouri Baptist is one of the top teams in the conference series every year.